Sold all around the world, the Cruze is Chevrolet's best-selling model, globally speaking. Now, for the 2016 model year, the Cruze is completely redesigned, larger but lighter and more aerodynamic than the model it replaces. 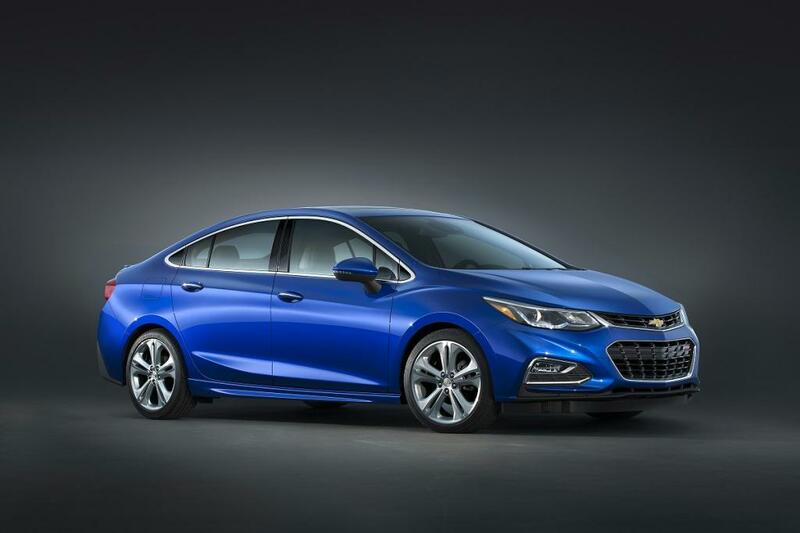 When the new 2016 Chevy Cruze goes on sale in early 2016 it will be available in L, LS, LT, and Premier trim levels. What Chevrolet calls a "more expressive" RS package will be offered on some versions of the new Cruze. Chevrolet will build the new 2016 Cruze in Ohio. 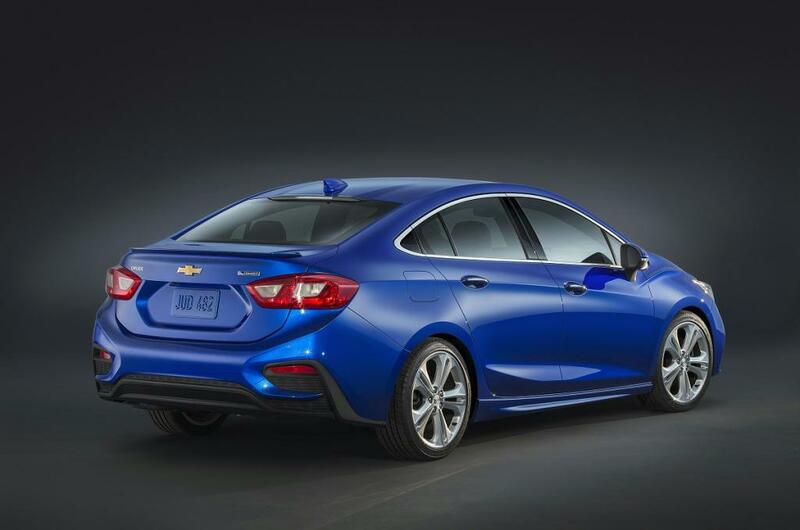 With this redesign, the Cruze drops 250 lbs., on average, despite stretched dimensions in almost every direction. A more sloped windshield, faster slope to the rear of the car, and an integrated rear spoiler contribute to a 0.29 coefficient of drag. Beneath its skin, the Cruze also boasts greater structural rigidity, according to Chevrolet. With a wheelbase stretched to 106.3 in., the new Chevrolet Cruze's interior is more spacious than before, providing greater rear legroom and knee room. 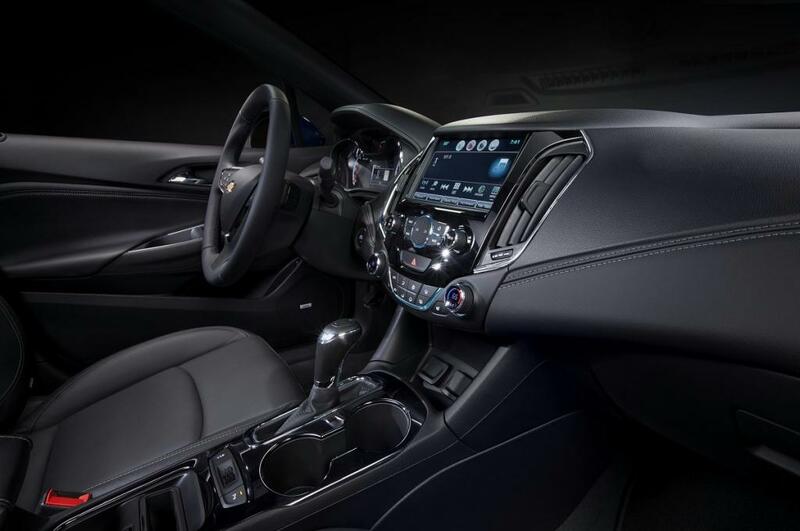 Chevrolet claims to have improved the interior with a dual cockpit dashboard design, greater use of soft-touch surfaces, and contrast stitching for premium cloth and leather choices. Chevrolet announced several options for the Cruze, outside of the safety and technology items detailed below. Leather upholstery, heated front and rear seats, and a heated steering wheel will be available, as well as LED signature lighting, LED running lights, and aluminum wheels ranging up to 18 in. in diameter. An RS package is also optional, adding a unique grille treatment, revised front and rear fascias, fog lights, rocker panel trim, front splitter, rear spoiler, and on the Premier trim level, larger 18-in. aluminum wheels. A direct-injection, turbocharged, 1.4-liter 4-cylinder engine is standard in every 2016 Cruze. It makes 153 horsepower at 5,600 rpm and 177 lb.-ft. of torque from 2,000 to 4,000 rpm, and is paired with a 6-speed manual gearbox or a 6-speed automatic transmission. A diesel engine option is planned for the 2017 model year. Fuel-saving automatic start/stop technology is standard equipment, and Chevrolet predicts that when equipped with the 6-speed automatic transmission the new Cruze will get 40 mpg on the highway and offer 530 mi. of range. Acceleration to 60 mph is projected to take 8 seconds, Chevy says. Chevrolet employs a MacPherson strut front suspension combined with a torsion-beam rear suspension. The Cruze Premier is upgraded to a Z-link rear suspension design, one that Chevrolet says will deliver "a more balanced driving experience, as the rear suspension better follows the lead of the front suspension." Long lasting, Duralife 4-wheel-disc brakes are standard, along with a rack-mounted electric steering system (with a quicker ratio for the Premier trim level). The Cruze L and LS are equipped with 15-in. steel wheels, while the LT has 16-in. aluminum wheels and the Premier features 17-in. aluminum wheels. Each 2016 Cruze will include 10 air bags and a reversing camera. Available safety features include a blind-spot monitoring system, lane-departure warning sy stem, rear cross-traffic alert system, and a forward-collision warning system. A next-generation Chevrolet MyLink infotainment system is standard for the new Cruze, equipped with a 7-in. touch-screen display. An upgraded version with an 8-in. touch screen and both Android Auto and Apple CarPlay compatibility is optional. Initially, only Apple CarPlay will be available. It puts commonly used iPhone features right on the Cruze's infotainment display, and is Siri Eyes Free-compatible. Later, Android Auto will arrive, heavily interactive with Google, including Google Maps and Google Now. Android Auto also supplies access to WhatsApp, Skype, Spotify, and more. With both new smartphone integration platforms, users download system-compatible apps first to their device, and then can use them via the service. Data plan rates may apply. Additionally, the new Cruze will be available with an OnStar 4G LTE Wi-Fi connection, wireless smartphone charging, and a navigation system.